Features: 100% brand new and high quality Suitable for: for the home computer chassis fan dust, speaker speaker grilles and a variety of electrical and electronic products speakers dust protection. Help to keep your PC and PC components clean,minimize the noise from the fan and extend the life-span of your fan. Practical and useful computer accessory,Can protect you computer from overheating,Can be helpful in keeping your computer components clean. Suitable for computer case fan with 14cm diameter Specification: Material: PVC Color: Black Dimension:140 x 140mm/5.51 x 5.51"(L x W) Note: Installation screws are not included. 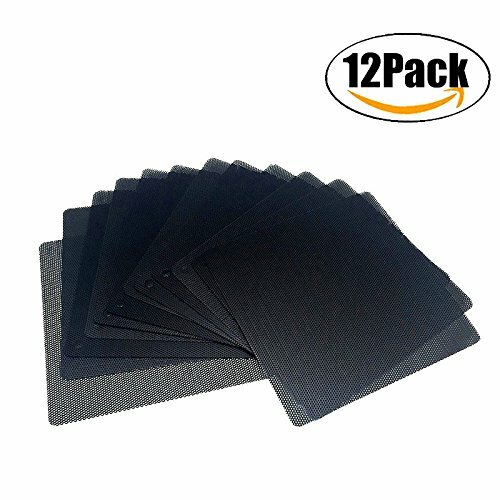 Package Included: 12 x Dust Filter Mesh Note: 1.Please allow a little size error due to manual measurement. 2.Please be reminded that due to lighting effects and monitor's brightness/contrast settings etc, the color tone of the website's photo and the actual item could be slightly different. Everybody knows that the basic reason for computer damage is a lot of dust in the cooling system. Dust gathers inside the computer preventing the cooling process. As a result, incorrect cooling leads to 1) the increase of circling and fan noise, 2) the shutdown of the computer because of overheat protection, 3) the swell of condensers on the video card, motherboard and power adapter, and 4) short circuit and static discharge. All this leads to computer breakdown and costing repair. The DustEND filter can be applied to clean the air form dust. 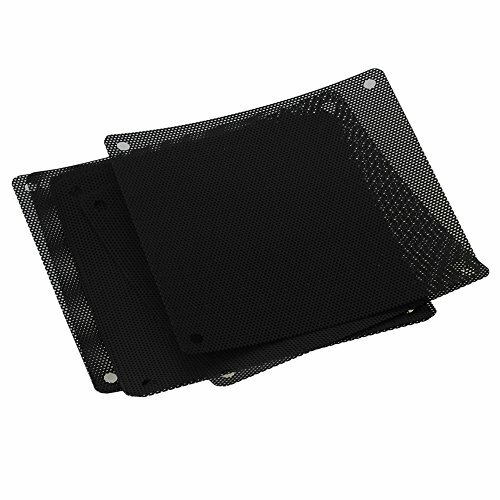 It is presented by the filter sheet made of lt urethane plastic foam with an open mesh. It has a sticky side. 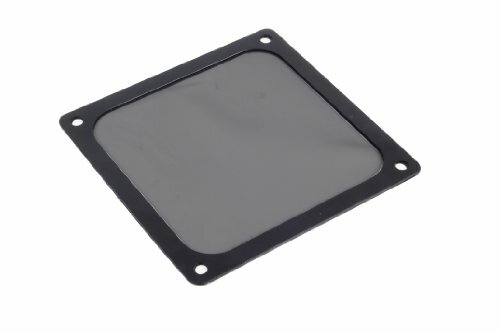 The filter delivers low fan noise level, clean computer for many years, stable low processor temperature, and long term of service of spare parts.The G3 filter is made from polyurethane foam with an open cell. Material is a high efficiency filter, sifting large and minute particles of dust up to 5 microns. Best for PCs that need high cleanliness. Model: G3-950BK. Specification: Brand: AIYUE Color: Black Material: PVC Design: Convenient magnetic frame design for easy installation . 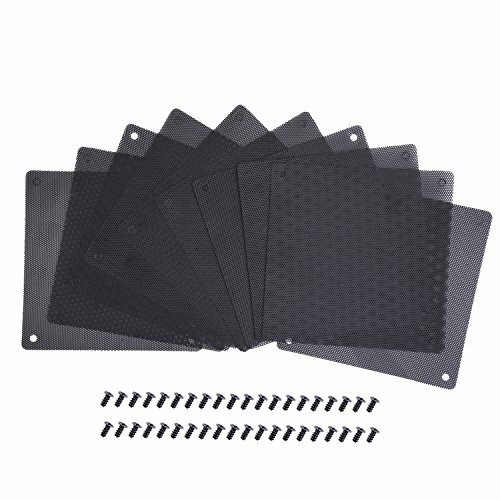 Use for: for the home computer chassis fan dust, speaker speaker grilles and a variety of electrical and electronic products speakers dust protection. Due to the monitor, the color of the actual item may vary slightly. Dust filter Dimension:140 x 140mm/5.51 x 5.51"(L x W) Package includes: 2 x Ultra Fine Dust Filters. Professional sellers: AIYUE is a collection of research and development, manufacturing, sales for the integration of Dust Filters manufacturers. If you are not 100% satisfied with the quality or concerned, Please contact us,We will try our best to solve it. Features: 100% brand new and high quality Suitable for: for the home computer chassis fan dust, speaker speaker grilles and a variety of electrical and electronic products speakers dust protection. Help to keep your PC and PC components clean,minimize the noise from the fan and extend the life-span of your fan. Practical and useful computer accessory,Can protect you computer from overheating,Can be helpful in keeping your computer components clean. Suitable for computer case fan with 12cm diameter Specification: Material: PVC Color: Black Dimension:120 x 120mm/4.72 x 4.72"(L x W) Note: Installation screws are not included. 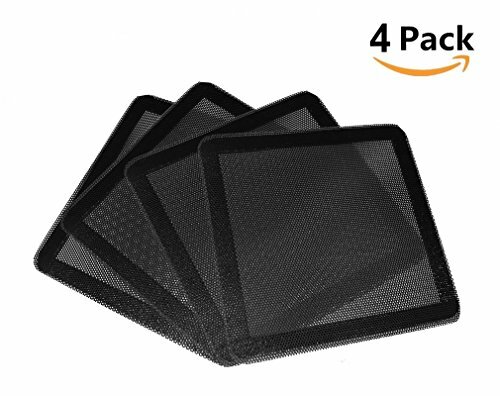 Package Included: 12 x Dust Filter Mesh Note: 1.Please allow a little size error due to manual measurement. 2.Please be reminded that due to lighting effects and monitor's brightness/contrast settings etc, the color tone of the website's photo and the actual item could be slightly different. 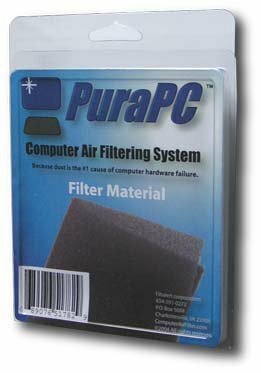 By placing a computer dust filter over an intake, you reduce the risk of dust related PC illnesses, such as overheating, system failure, and permanent data loss. Using PuraPC's washable computer air filter system can prevent these ailments. This dust filter material helps stop dust from entering any PC or server without any increase in temperature. The computer air filter material is installed over intake fans and vents as to not restrict the exhaust. Filters should not be placed over an exhaust, as this traps heat, and dust doesn't enter your computer this way. The cool air that is drawn into your PC through intake vents and fans is how dust enters the computer. Specification: Brand: AIYUE Color: Black Material: PVC Design: Convenient magnetic frame design for easy installation . 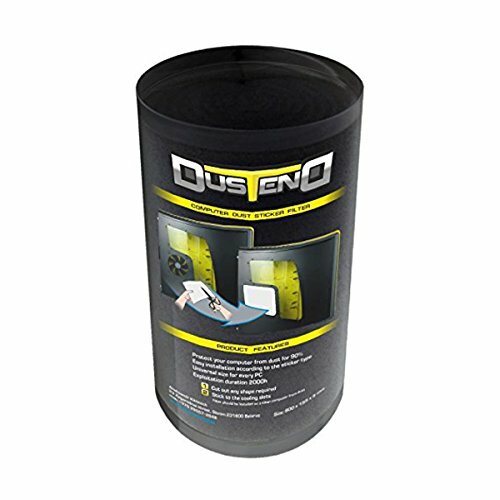 Use for: for the home computer chassis fan dust, speaker speaker grilles and a variety of electrical and electronic products speakers dust protection. Due to the monitor, the color of the actual item may vary slightly. Dust filter Dimension:120 x 120mm/4.72 x 4.72"(L x W) Package includes: 4 x Dust Filters. Professional sellers: AIYUE is a collection of research and development, manufacturing, sales for the integration of Dust Filters manufacturers. If you are not 100% satisfied with the quality or concerned, Please contact us,We will try our best to solve it. Our set of 2 microfiber 12" - 16" round fan filters, filter the air in your home every time you turn your fan on. The unique fiber of these filters helps to trap airborne dust, pollen, dirt, pet hair, smoke and odors. Not only will you breathe easier, but you will dust less often! 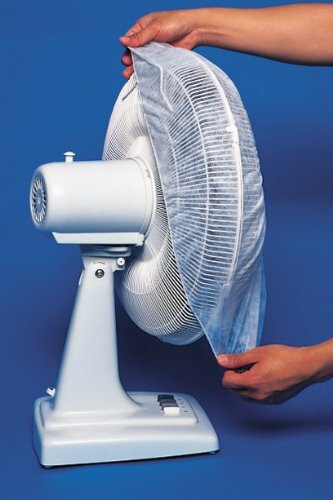 Let your fan filter the air while airborne pollutants are trapped by the filter material. Slip on easy installation. Set of 2. Make Your Own Fan Filters, Custom Computers, PC Mods, Budget PC Build. Thanks for watching, please like and subscribe!!! DEMCiFlex Filters, a better way to keep dust out of your computer? 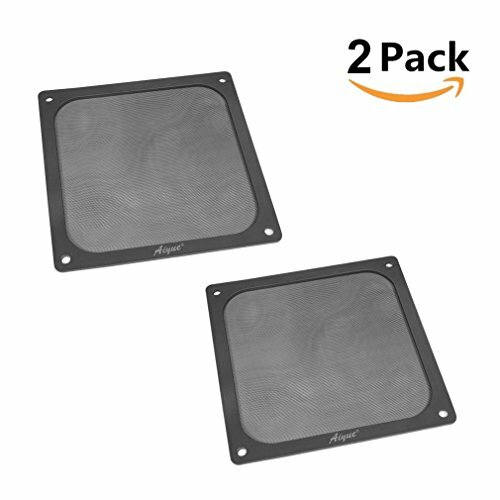 Compare prices on Fan Dust Filter at ShoppinGent.com – use promo codes and coupons for best offers and deals. Start smart buying with ShoppinGent.com right now and choose your golden price on every purchase.